Did you order some tears with your romantic salad? This was a good show… that I’ve been watching unfold over the summer. Not quite great, but definitely on par with most quality sageuks. As you can tell from the name, it will not have a happy ending. But until then, it does manage to be shockingly romantic – more so than any other sageuk I can think of. Or least, more overtly romantic, in a modern contemporary way, as opposed to the subtle, slow burn romances we generally get in these historical shows. Our lead couple was charming – in particular, her overt nature compared to his reserve. Especially when they were older, her understanding of his introverted tendencies showed a level of maturity rarely seen in dramas – with her always knowing when she needed to go back to him first after an argument, or infer all the things he left unsaid. And like Romeo & Juliet, their romance was all the more delicious as everyone was actively trying to tear it apart or come between them. Nothing like opposition to make things exciting, eh? I’ve seen a real shift lately in understanding the power of a strong psychotic character to make any drama more interesting. The crazed king motif never gets old, frankly, and Lee Dong Gun’s performance as the seriously unstable, yet strangely sympathetic/pathetic ruler was outstanding. Plus he had the best wardrobe of any royalty I have seen in a saguek to date – the man encouraged color and variety in his kingly robes, thank you. 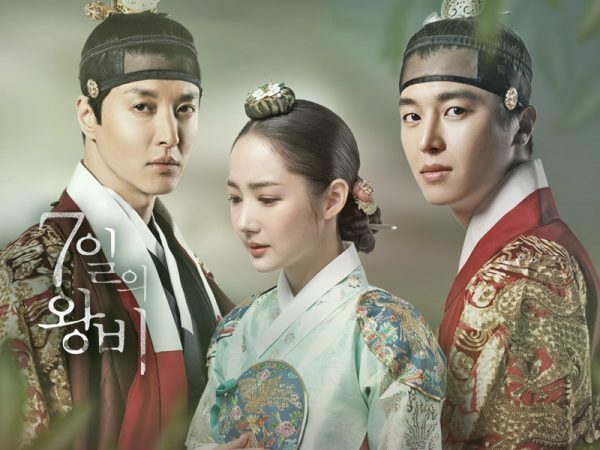 Scheming adults, lovable sidekicks, secret identities, and a variety of palace drama and violence kept the pace in each episode. This is a good drama to watch when you’re in the mood for a flagrantly emotional rollercoaster, as the emotional aspect of show is definitely its strength. The plot is not overly complicated, nor are the characters, really. At it’s heart, it’s an uber-romantic-romance (it’s not all tears, either, there are some very fluffy care-free episodes and cheeky romance moments before the melodrama sinks in). There’s also a surprisingly modern soundtrack, yet it worked well with the show, which was sort of a hybrid anyway (there was definitely a lot of modern elements covertly woven in). Overall Rating – 8.5/10 – If There Is A Prophesy Dooming Your Relationship… You Might Wanna Reconsider Your Choices. Not really a sageuk fan and this one came with the warning of lots of tears! So never gave a try.